Solid Sterling Silver Tetragrammaton Charms-Pendants for your metaphysical bracelet, or stunning when worn as a pendant on your favorite necklace chain. This Tet is curved (convex) with raised symbols and lettering. Cast here in the USA via the lost wax casting process and measures approximately 23mm x 19mm. Sold by : Charm-Pendant, Necklace, Earrings, etc. Tetragrammaton Charms and Pendants - Pagan - Jewish Mysticism - 'Tetragrammaton' is the holiest name of G-d. It is comprised of the four Hebrew Letters YHVH. In the words Yud-Hey-Vay-Hey, we find the mystery of the Tetragrammaton (the Holy Four), and it is the occult key that unlocks the meaning behind astrological symbolism, the tarot, the mysteries of the Old Testament and the Book of Revelation. > You can Customize this item into a Tetragrammaton Necklace -- Choose from : Pendant Only, or on a Sterling Silver Necklace Chain (see last picture for current chain style). 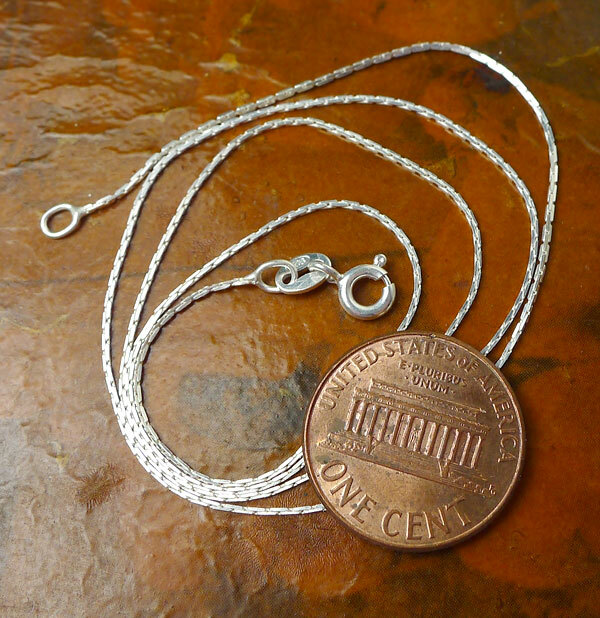 When Selecting on a SS Chain, your Solid Sterling Silver Tetragrammaton Necklace will come Boxed. 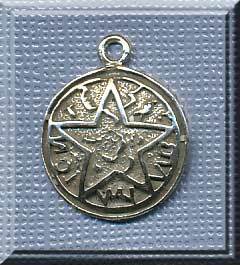 > This charm can also be converted into a Custom made Sterling Silver Dangling Tetragrammaton Earring. If you need a pair of them, order 2.